One of the most important benefits of parental controls is that it enables open discussion. 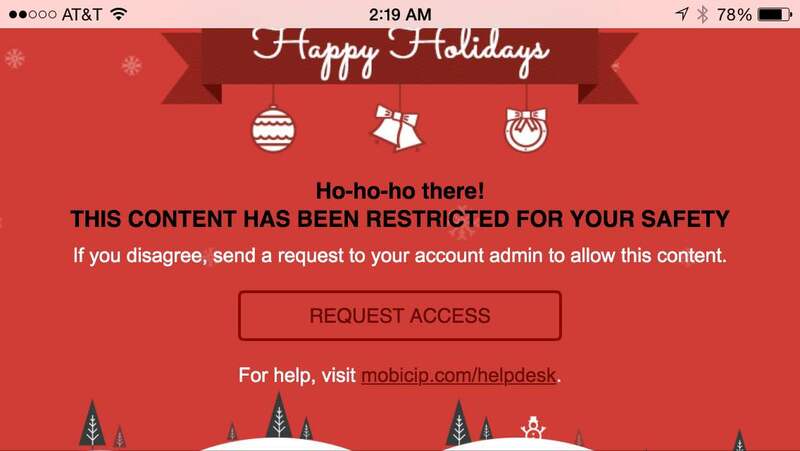 Mobicip allows your kids to request access to blocked content, right from within the browser when any content is blocked. 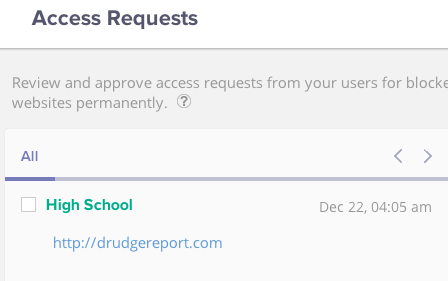 With the Premium upgrade, you can review the requests at any time and approve or deny each one. 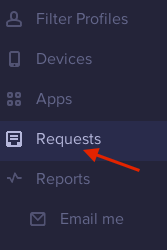 To review pending access requests, simply login at mobicip.com and select Requests. You will see a list of requests, along with the associated filter profile. Click each request to review it. You can choose to allow that particular content, or the entire domain. 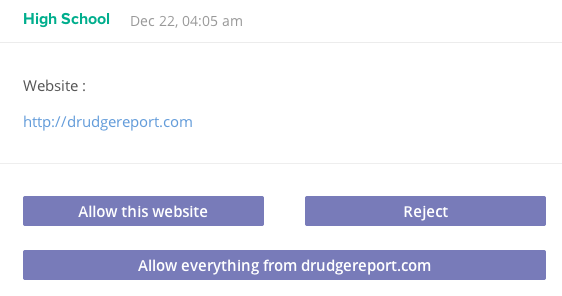 You can also choose to receive alerts by email for each access request. Simply click on 'Notify me' at the top right, and enter the email address at which you wish to receive the alerts.